Pensthorpe Natural Park01328 851465workGardenSet in the beautiful Wensum Valley and voted Norfolk’s Best Large Visitor Attraction 2014 and 2015*, Pensthorpe Natural Park is a great day out for the whole family. Adventurous families can take a walk on the wild side and join ‘Hootz’ the owl on a journey around his magical natural world as you run wild in WildRootz. You can swoop like a falcon, scramble like a spider and dig like a mole as you discover underground burrows, giant winding slide towers, shallow streams to splash through and assault courses in the trees! Whatever the weather, come in for an epic indoor adventure in Hootz House. Switch onto wildlife as you clamber your way up huge tree towers, scurry your way through twisting tunnels and race your way down winding slides unearthing facts about the enchanting species that share our natural world. Meet our resident owl and hedgehog**, get creative with nature-inspired arts and crafts** and be sure to grab your WildRootz Passport and explore stamp stations, mirror trails and a larger than life bug walk. 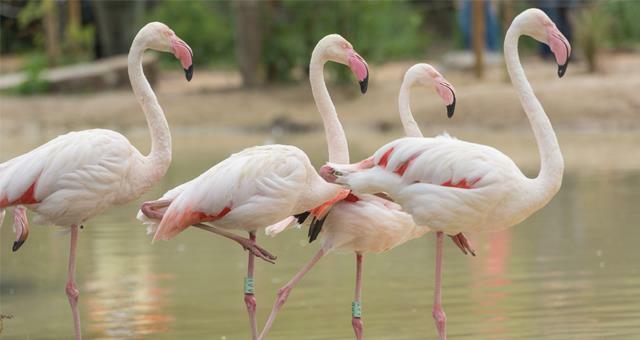 Meet flamingos, cranes and red squirrels to name but a few and be sure to watch the commentated Daily Bird Feed; it is the perfect way to finish off your day of exploring! With over 770 acres of woodland, wetland and farmland habitats, the former home of BBC Springwatch (2008-2010) continues to captivate its visitors with its unique surroundings and thousands of bird, plant and wildlife species who call it home. Working closely with partner organisations, the Pensthorpe Conservation Trust (PCT) based at Pensthorpe Natural Park, is involved in national conservation programmes to Actively Save Species. These partnerships include Operation Turtle Dove and the Great Crane Project as well as a Corncrake and Red Squirrel Re-introduction project. Discover four stunning nature-inspired gardens and see spectacular wildlife in one of Norfolk’s largest wildflower meadows. Absorb the structural beauty of Piet Oudolf’s Millennium Garden, admire the sculptures as you meander through the Wave Garden and visit our Wildlife Habitat Garden with bees, bats and butterflies to pick up hints and tips for your own outdoor space! With free parking and entry to the Gift Shop and Courtyard Cafe, you can enjoy delicious locally sourced, home-cooked food even if you have not got the time to explore the wonders of the Park. FREE admission to the Shop and Courtyard Café. **Seasonal attraction. Subject to availability. Nature-inspired arts and crafts available in the school summer holidays only. Set in the beautiful Wensum Valley and voted Norfolk’s Best Large Visitor Attraction 2014 and 2015*, Pensthorpe Natural Park is a great day out for the whole family. Adults £10.95, Children (3-16) £9.95, Seniors (60+) £9.95. Group (15+) /school discounts available.